 Our goal is to transform students through their time at Buffalo State into creators of knowledge. For this, critical thinking skills are crucial. In Intellectual Foundations, students learn these skills through a range of interdisciplinary topics—topics that will excite students and the faculty who will teach them. Intellectual Foundations faculty play a singular role in shaping the minds of Buffalo State students. Our curriculum is diverse and well-rounded, thanks to the community of scholars who present it. Faculty, please refer to the Provost IF Waiver Fact Sheet when advising students who enrolled Fall 2006-spring 2014. Encourage students to explore minors and double majors as students need a minimum of 120 hours to graduate. Please contact Amitra A. Wall, assistant dean of Intellectual Foundations and first-year programs, at (716) 878-5906, to learn more about teaching and professional development opportunities.